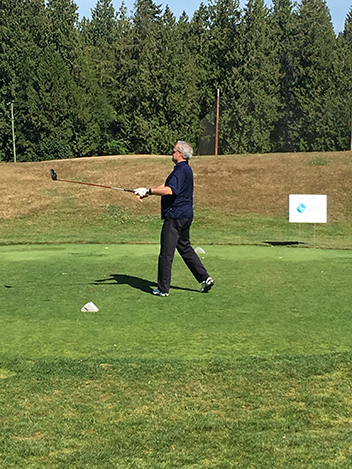 We were honoured to assist Coast Capital Savings Credit Union raise funds for VHG & UBC Hospital Foundation’s work in depression research as a Platinum Sponsor. 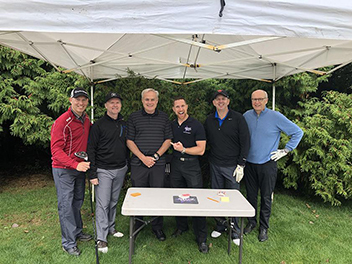 Rudy is seen here with Landcor CEO, Jeff Tisdale, Coast Capital Board Chair Bob Cooke, Coast Capital’s Jim McGregor, Director, Retail & Small Business Credit and Jeff Short, Senior Manager, The Mortgage Centre from Prospera Credit Union. 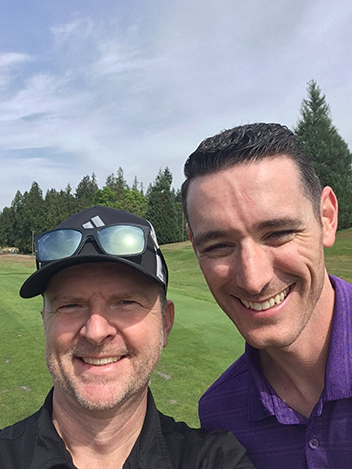 Rudy with Coast Capital Board Chair Bob Cooke. 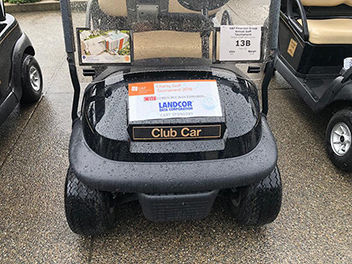 Landcor was pleased to be a Cart Sponsor for the the G & F Financial Group’s 2018 Charity Golf Tournament, raising funds for the Richmond Hospital Foundation. 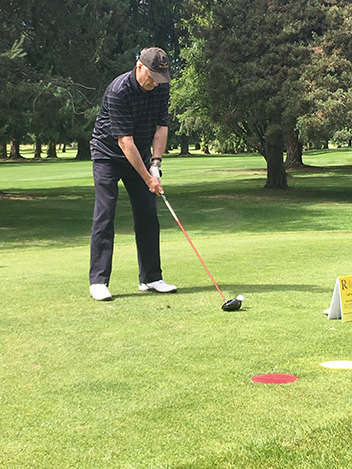 Landcor President Rudy Nielsen was pleased to participate in this tournament, supporting the BC Children’s Foundation. 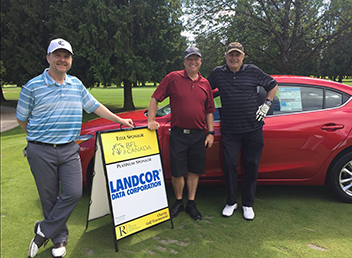 Representing us on the course were Landcor President Rudy Nielsen and CEO Jeff Tisdale. 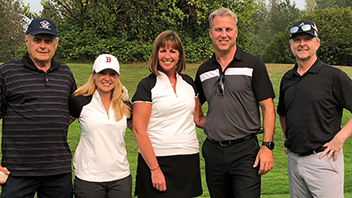 They are seen here with Genworth CEO Stuart Levings, VP Pacific Region Marcie Cyr and SVP Sales & Marketing Debbie McPherson. 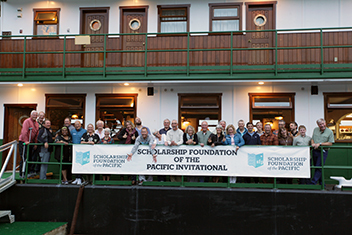 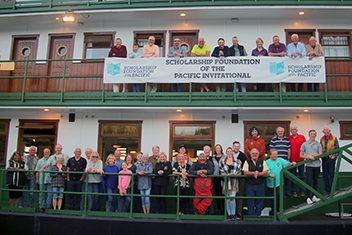 Landcor President Rudy Nielsen was pleased to participate in this challenge at Langara Fishing Adventures, benefiting the Scholarship Foundation of the Pacific. 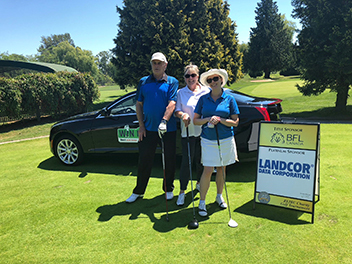 Landcor was thrilled to be a Platinum Sponsor for the REIBC’s 25th Annual Charity Golf Tournament, supporting the Make A Wish Foundation. 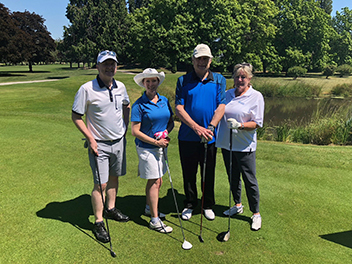 We were represented on the course by Landcor President Rudy Nielsen, CEO Jeff Tisdale, Insight Specialty Consulting’s Mandy Hansen and Westminster Savings’ Sue Rusk. 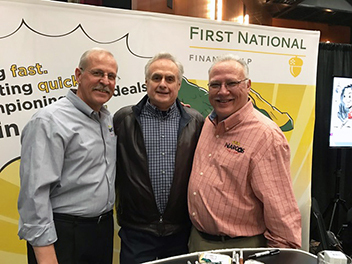 Rudy is seen here with Insight Specialty Consulting’s Mandy Hansen and Westminster Savings’ Sue Rusk. 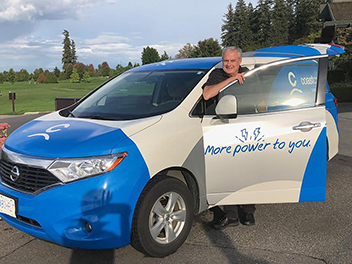 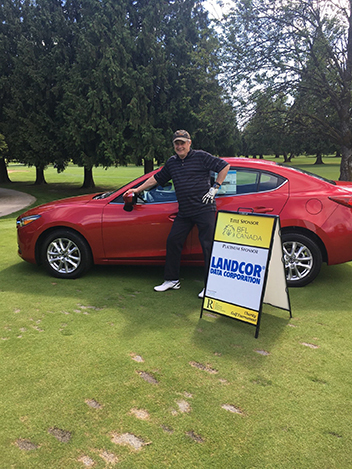 Landcor was honoured to support the Metro Vancouver Crimestoppers at their 2018 Golf Tournament. 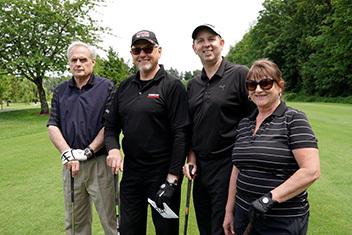 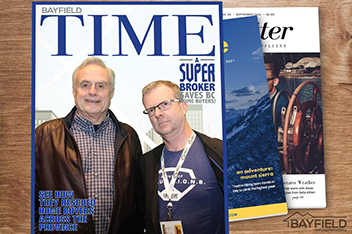 Seen here is President Rudy Nielsen, seen here with Kim Clark, Past President of Metro Vancouver CrimeStoppers, Jim McGregor, Director, Retail & Small Business Credit, Coast Capital Savings Credit Union, and NWPD Chief Constable Dave Jones. 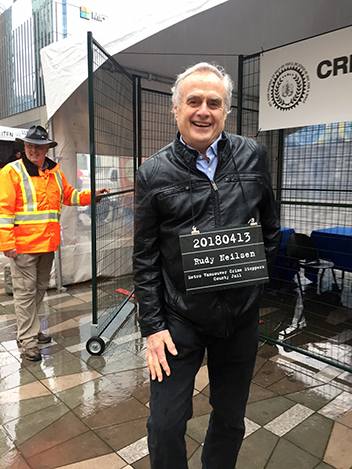 NIHO Group President Rudy Nielsen was “arrested and jailed” as part of a fundraiser for Metro Vancouver Crime Stoppers. 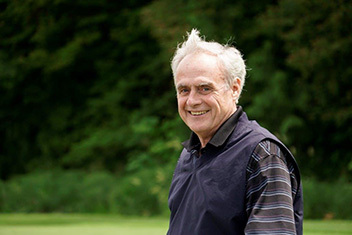 Rudy made his $2000 bail, and was released for good behaviour. 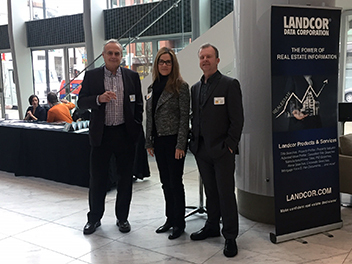 Landcor was pleased to have this opportunity to inform Mortgage & Real Estate Professionals on how Landcor can help them reach their business objectives. 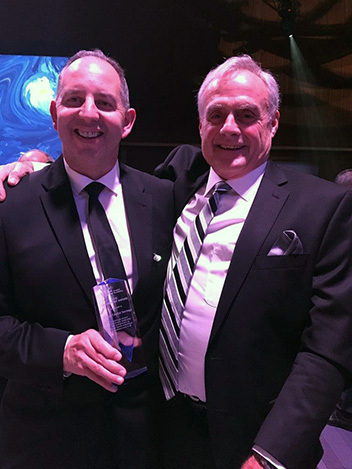 NIHO Group President is seen here with Landcor CEO Jeff Tisdale. 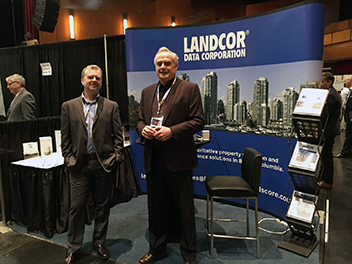 Sister company Landcor was a proud returning sponsor of the City of New Westminster’s Innovation Week. 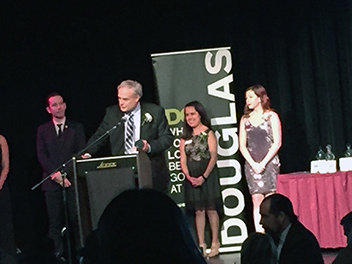 NIHO Group President is seen here with Landcor CEO Jeff Tisdale and Catherine Williams from Douglas College. 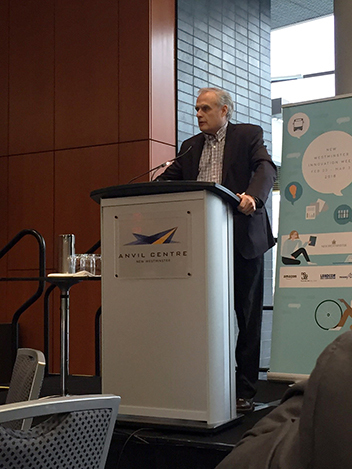 NIHO Group President, Rudy Nielsen, was pleased to be a lunchtime speaker during the week. 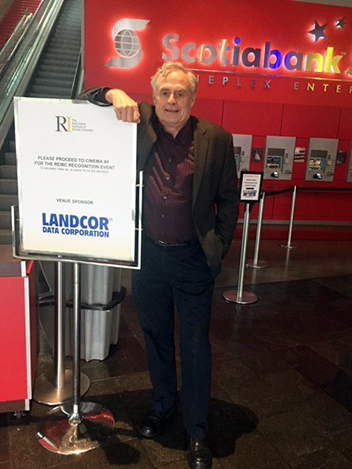 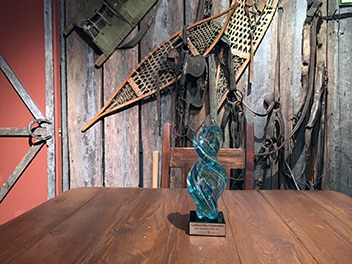 Sister company Landcor Data Corporation was thrilled and honored to have won Innovator of the Year at this years’ Platinum Awards! 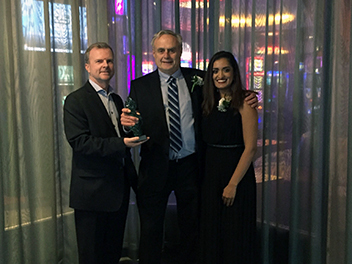 NIHO Group President Rudy Nielsen and Landcor CEO Jeff Tisdale with Ruby Sumal of Vancity, sponsor of the award. 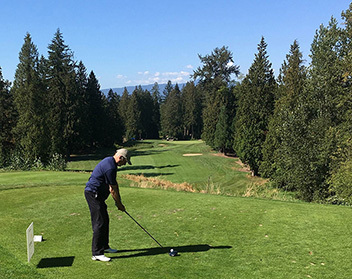 Landcor was a proud dinner sponsor for Genworth Canada’s Pacific Golf Tournament this year. 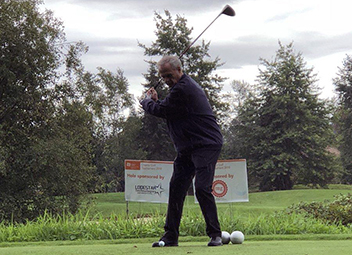 Representing us on the course were Landcor President Rudy Nielsen and CEO Jeff Tisdale. 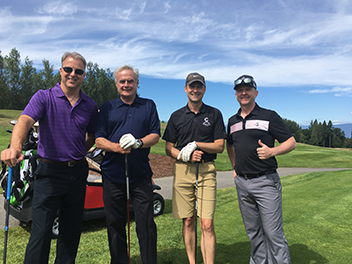 They were joined on the course by Genworth CEO Stuart Levings and Peter Roberts from Coast Capital. 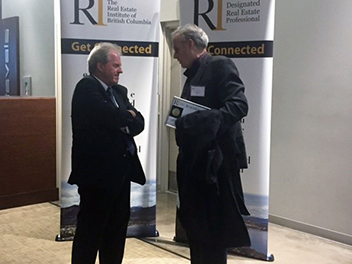 Landcor CEO Jeff Tisdale with Genworth Canada’s Ian Welin. 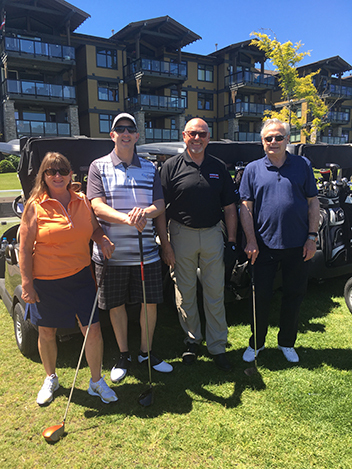 NIHO Group President (and Crime Stoppers Director) Rudy Nielsen with Kim Clark, President, Metro Vancouver Crime Stoppers, Jim McGregor, Director, Retail & Small Business Credit, Coast Capital Savings Credit Union, and Janice Funke. 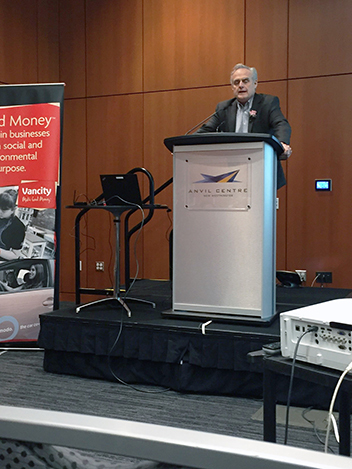 NIHO Group President Rudy Nielsen was pleased to participate in the Royal LePage Wolstencroft Power Summit. 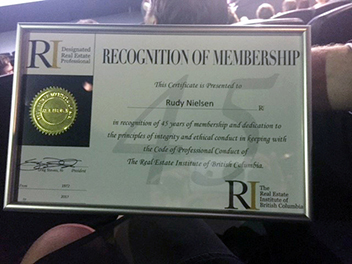 Rudy was recognized as a 10+ year member of the Mortgage Professionals of Canada this year at MPC National. 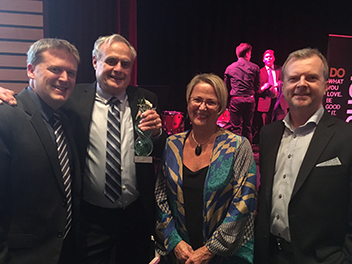 NIHO Group President Rudy Nielsen with the 2016 Leadership Award winner Coast Capital’s COO Jim McGregor . 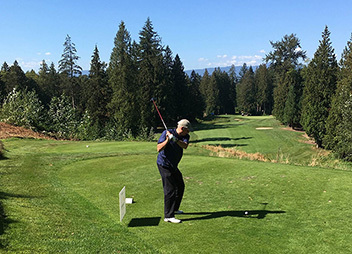 The NIHO Group was pleased to help sponsor this tournament, supporting BC Children’s Hospital Fund. 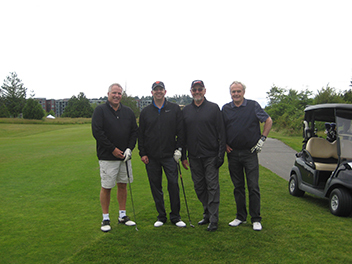 We were represented on the links by Landcor president and CEO, Rudy Nielsen and VP Jeff Tisdale. 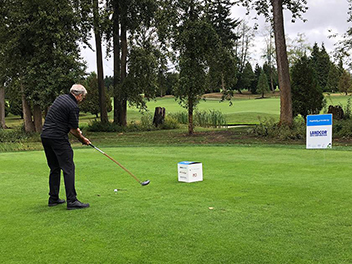 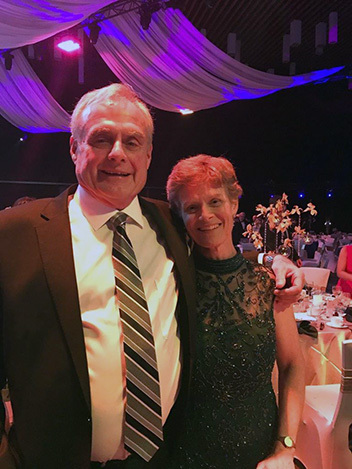 A cause near and dear to NIHO Group President Rudy Nielsen’s heart, the NIHO Group was proud to support this worthy charity raising funds for Metro Vancouver prevention of crime activity. 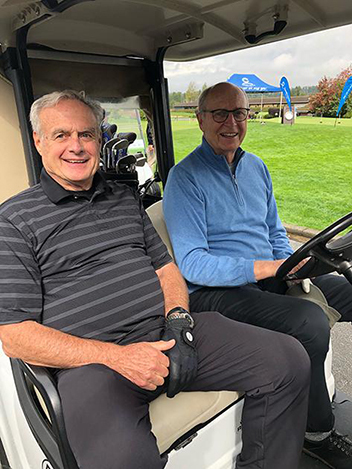 Landcor president and CEO, Rudy Nielsen and VP Jeff Tisdale were pleased to represent Landcor at this tournament to help support Depression Research by the VGH/UBC Hospital Foundation.